Note that the current construction on Eglinton Ave. may necessitate that you take an alternate route to visit us. Please call ahead and we will help you with up-to-date directions from your location: 416-784-4444. Click here to view an updated work zone map. Central Toronto Veterinary Referral Clinic is a leading animal care facility in Toronto. We use cutting edge technologies and diagnostics to deliver the quality service that your pet deserves. 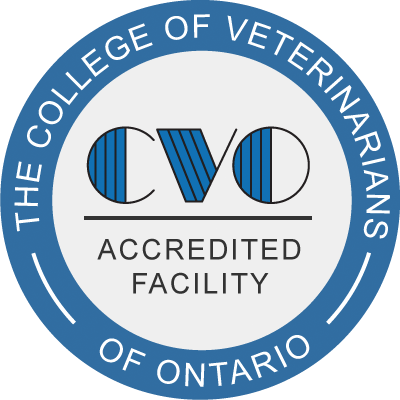 CTVRC is a Toronto veterinary referral hospital owned and operated by Dr. Devon Boyd and Dr. Michael Goldstein. We provide our patients with the best available treatment combined with outstanding patient care. Our Toronto veterinary clinic provides consultations for surgery, internal medicine, oncology, as well as advanced diagnostics through an on-site CT scanner, ultrasound, and digital radiography. Choose CTVRC as your referral clinic where we understand that your pet is an important part of your family. Our Eglinton veterinary facilities are conveniently located for all your pet needs.